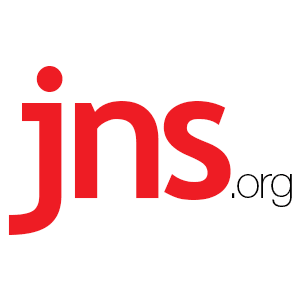 A (Laser) Light Unto the Nations - Breaking Israel News | Latest News. Biblical Perspective. When Asher Willner, a senior at Yeshiva University High School of Los Angeles (YULA), started a senior year engineering project in his father’s optical communications laboratory at the University of Southern California, he couldn’t envision where it would transmit him. But next week, beginning March 15, Asher will present his research at the Intel Science Talent Search competition as one of 40 finalists among 1,750 applicants. For his project, Asher worked with Ph.D.-track graduate student mentors to encode digital data by rapidly changing the “twisted” shape of a laser beam, with different shapes representing different data bit sequences. “We’re always trying to increase data transmission capacity,” Asher tells JNS.org. The results of his project allow for the transmission of 20 billion bits of data in one second, resulting in increased data capacity. Twenty-billion bits is the equivalent of a full-length movie. Asher says his engineering inspiration comes from years of watching his father at work in the lab—though admittedly, it wasn’t until he was much older that he actually understood what his father does for a living—and from the two years he spent participating in the CIJE-Tech Program at YULA. CIJE-Tech is a project-based, two-year program focusing on scientific and biomedical engineering. Developed by the Center for Initiatives in Jewish Education, CIJE-Tech exposes students to a diverse range of science and technical knowledge areas, while helping to develop abstract thinking, leadership, and teamwork skills. Judy Lebovits, vice president and director of CIJE, explains that CIJE-Tech tries to instill in student participants self-confidence and a drive to try new things. The Intel contest is arguably America’s most prestigious high school science competition. Asher and the other finalists will each receive an $8,500 prize from the Intel Foundation as well as an all-expenses-paid trip to Washington, DC, to compete for the grand prize. Three winners in the final round will receive a $150,000 prize. As the only Orthodox Jewish finalist, Asher had to request special permission not to participate in Saturday events that conflict with Shabbat. He says he was assured that Saturday is not one of the competition’s two major judging periods, so the decision not to participate on Shabbat will not affect his chances of winning. Next year, Asher will attend Yeshivat Sha’alvim in Israel and then head to Columbia University, where he will pursue a degree in engineering and applied sciences. He says he feels honored to represent the Orthodox community at the Intel competition and that he hopes making it to the finals will encourage other Jewish day school students to follow their dreams. “I am striving to turn this into a Kiddush Hashem (sanctification of God’s name),” Asher says.